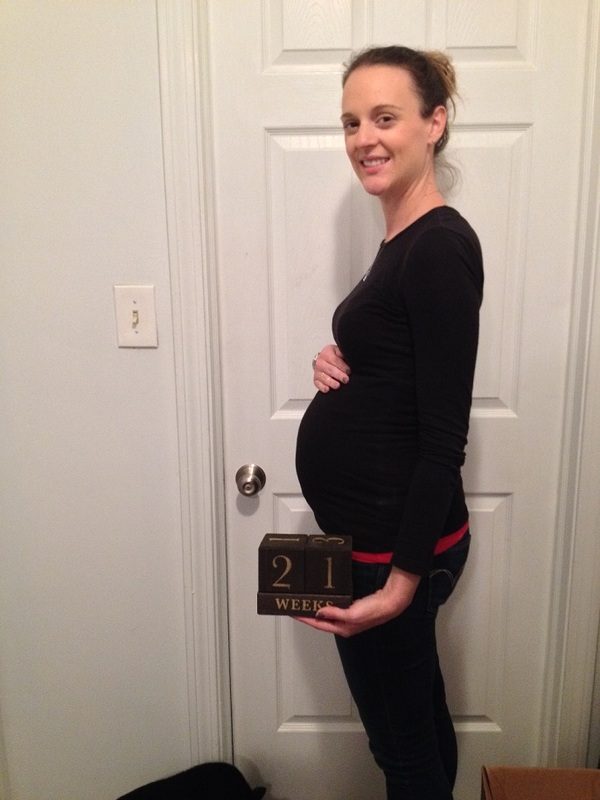 How far along: 21 weeks – seriously, where did that belly come from? Baby is the size of: A carrot! Gender: Surprise until March…but we are kind of leaning more one direction lately. 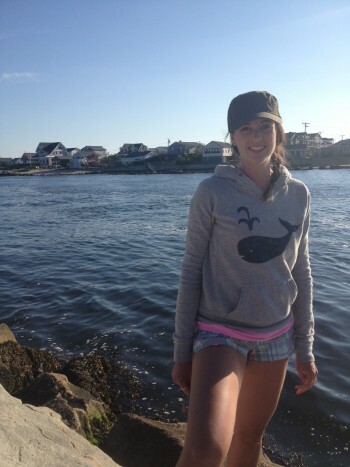 Weight gain: 10 pounds at my last checkup, but judging by this picture a LOT more already. Maternity clothes: Mostly maternity clothes now, but got some new open sweaters that I really like. Belly button in or out: Still in, turkey’s not done yet. Sleep: Been OK. But rolling over has been more uncomfortable lately and I wake up every single time I have to move. Best moment this week: FINALLY being able to paint the spare room turned nursery! Miss anything: Sleeping on my stomach. And deli sandwiches. But I totally splurged and had a roast beast sammy. 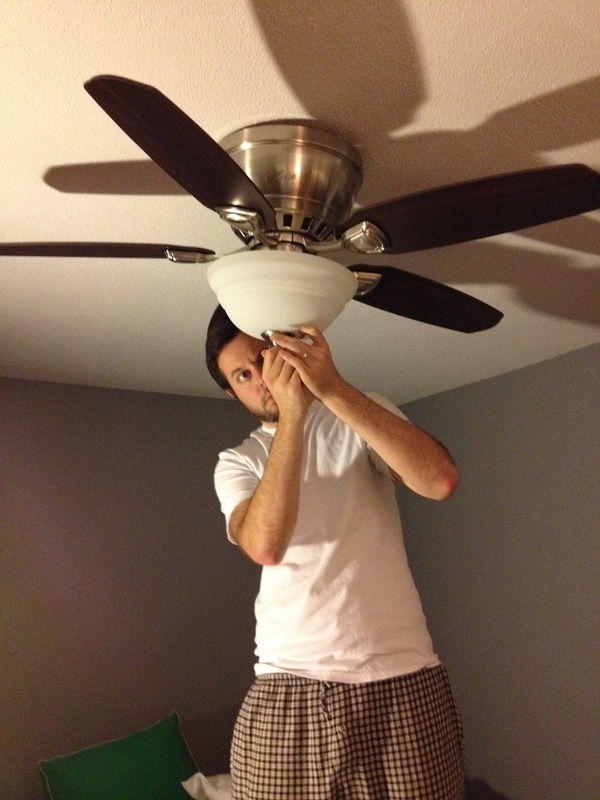 I HAD to…otherwise I probably would have died. Cravings: Still that ground beef! Queasy or sick: Nope!! This is definitely the most exciting part of pregnancy I think..and most enjoyable. Labor Signs: No labor signs, keep those away for a few more months please. Symptoms: Not really much of anything going on lately. It’s kind of nice. Wedding rings on or off: On. I have the cold months on my side – my fingers tend to shrink from the weather. My little handyman and new Grey walls. LOVE them. 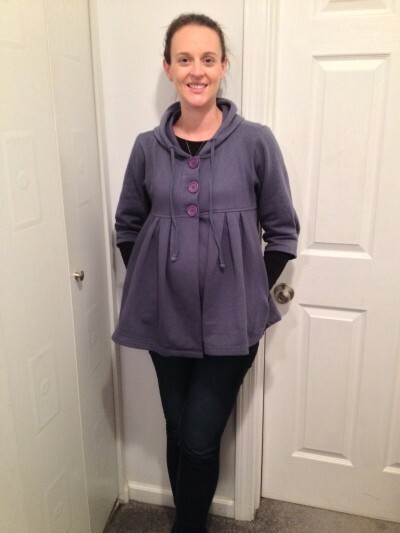 And I wanted to share my little jacket thing…I want to call it a cloak…or peplum but it’s really neither. It was one if my finds at that yard sale a few weeks back. It’s super warm and perfect for this time of year to fit over my ever growing belly! I love it. It’s Scooter Brown brand which I have never heard of, either way it’s super cute! Also, still in my pre-preg skinny jeans with a Bellaband holding them up. I do enjoy that thing – but I have to be honest, I can’t wait to get home and unwrap myself from all these clothes. This entry was posted in Uncategorized on November 4, 2014 by Danielle Laroche. I love your latest update and I’m so excited for you and Kevin!! You look wonderful and I’m so proud of both of you!! This is such an exciting time…for you guys and for us future Grandparents as well! Love you!! Such a cute belly!!!!! You look amazing!!! Love reading all of your updates !! Can’t wait to see you guys in A few weeks! !